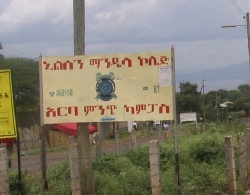 One thing and only one good thing - we propose - came out of the Mengistu years of yesterday's Ethiopia. The man may have run away like a thief from an honorable responsibility and left us wondering why he promised he will be the 20th century Emperor Theodros only to prepare his hiding by stealing knifes and spoons from the Imperial palace, but one institution he established continues to gain him praise from unlikely sources. 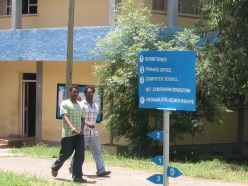 The Arba Minch University which now trains some of the country's finest professionals from engineers to computer scientists is widely recognized as the Colonel's only lasting contribution to development in Ethiopia. From the smallest water supply projects in the remotest parts of Ethiopia, to the campuses of well-known European universities and graduate schools, graduates of this university have made their presence felt in remarkable ways. Perhaps, it is the realization of this fact by the current government and its race against time or else the confluence of multitude of dramatic historical forces arrayed to have a say in the country's future, that the most significant and least understood event in the country today is the expansion of higher education. 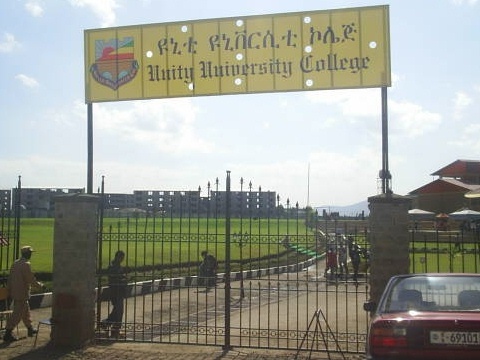 In just a little less than a month, almost 13 new government universities and equally numerous private universities will open their doors to thousands of Ethiopian young men and women. 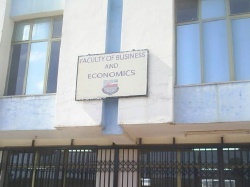 With names like Jijiga University, Sodo University, Dire Dawa University, Mizan Teferi University, Kombolcha University, and Dilla University along with - among others - Mandela College and Rift Valley University, the country is entering an interesting period of experimentation and catching-up. To these 13 government universities, add another 9 universities scheduled to be opened in the near future and the story gets, undoubtedly, more interesting. Of course, like every other contemporary event in today's Ethiopia, developments like these should be viewed through the wider lenses of politics and, to a large extent, historical contexts. As we sat down for an editorial board meeting of this edition of PhotoEssay in a new watering hole we are frequenting these days near Bole Medhane Alem, emotions run high every time the discussion turned to who should get the credit to this development. As usual, we will present here some of the arguments from our team members verbatim. 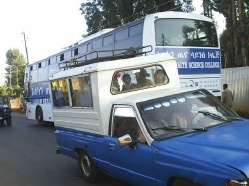 "The EPRDF is in a race against time. They know they will not last long, especially after the recent elections and their troubles. Therefore, they are selectively going after sectors where they think people will praise them 20-30 years from now. The Arba Minch story is their inspiration. 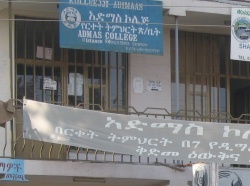 If people praise Mengistu for one university, then they will certainly regard EPRDF as a great government that left 22 universities to the country." 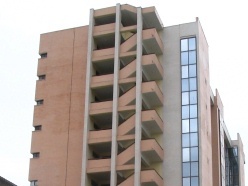 "I give the credit to GTZ - the German Technical Group. Expanding education (capacity building) was their idea and they are intimately involved in all the projects. The masons, surveyors, and contractors are the 10+2 students who went to vocational school and got trained by the Germans themselves." "Why would Weyane do something good like that? Are we missing something here? 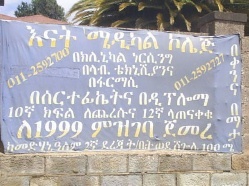 10+2 are the results of the infamous Guenet Zewde." "GTZ is not as good as you present them. 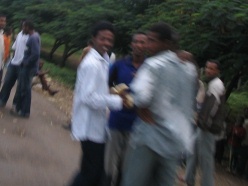 They are known for sending the least capable of their people here to Ethiopia. How many seminars we have gone to prepared by GTZ where the speaker knew nothing and most of us walked out?" "There is no magic in numbers. The quality of the universities is despicable. The teachers are recent university graduates themselves. Just last week, they sent an 'isuzu-load' of fresh graduates to Dilla as lecturers. These people are watering down our education system." "Look, establishing all these universities is not easy. It requires that some of the senior officials travel to every corner of the country and manage projects worth almost 1 Billion Birr." "Have you seen the campuses themselves? 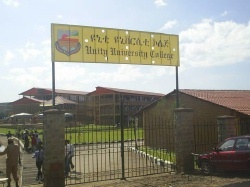 Look at the Gondar University campus and the new buildings. 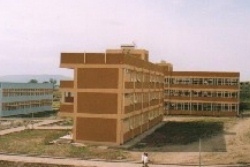 How about the nice buildings of Awassa university? These universities are built to last. There is a serious commitment here." At the end, however, we seemed to reach a consensus. Does it really matter who gets the credit when - at the end - the country gets all these universities and our young men and women get to spend the best years of their lives acquiring skills that prepare them for a better life instead of being unemployed and chewing chat 24/7? Just a few days after the editorial board voted in favor of this story, some of us went to this international event in the city where we met - quite unexpectedly - four graduates working in a prestigious private company in the city. It turns out that each of them was trained in different universities inside the country. One went to Bahir Dar, the other to Jimma, the next to HilCoe (private), the younger one to Arba Minch, and the last one to AAU. All of them were class toppers from their institutions and talked about their four years in these campuses, their dreams and futures. A common theme that we observed was these new universities have a lot of difficulty; but determined students learnt how to excel and compete the same old fashioned way that have taken the previous generation of AAU graduates to the best companies and university campuses around the world. 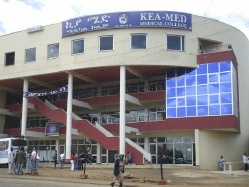 MediaETHIOPIA extends its best wishes for the class of 2004 (EC) that will start its education in the new Ethiopian Millennium. Photos: Left column. Top to bottom. 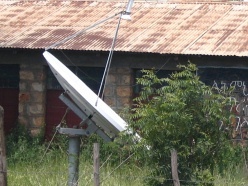 Beza College Campus, A VSAT Sattellite dish for SchoolNet in a secondary school in south Ethiopia, Alkan Medical College (private) bus, Rift Valley University College, Unity University College, Arba Minch University Students. Right Column. 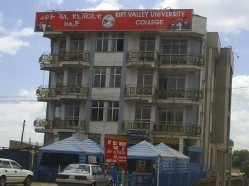 Top to bottom: New building at Amast Kilo campus, Arba Minch Uiversity Campus, Debub University, Enat Medical College, Kea-Me College.